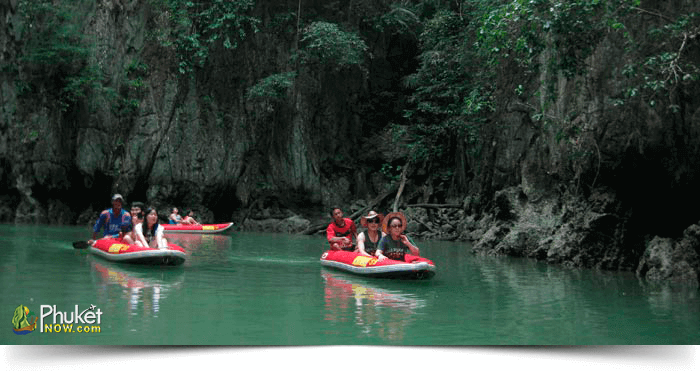 If you love to enjoy natural beauty of islands, you must explore the dramatic scene of Phang Nga Bay on a day trip. The marine national park is dotted with dozens of islands (about 42 big Islands). You will discover the extraordinary Panak Island, Stunning view of James Bond Island, a Muslim village on Koh Panyee, mystic Hong Island, and much pretty Naka Island or Lawa Island. 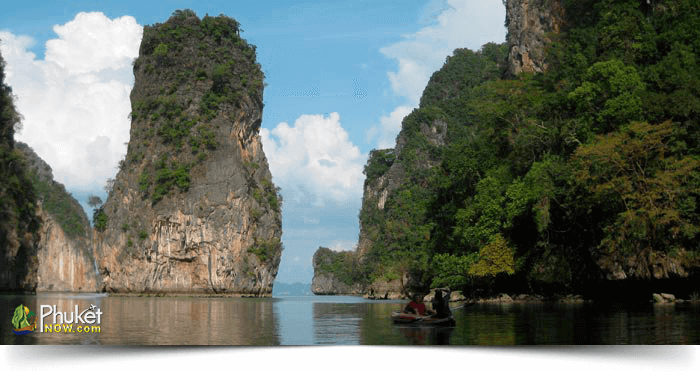 This tour will provide you unlimited entertainment opportunity to enjoy the beauty of the limestone cliffs, caves, stalactites, and many other rock formations in the north-eastern Andaman Sea. 08.00 Pick-up you from your hotel and transfer to Aor Por Pier, Phuket. Early in the morning (at 08.00) our guide will transfer you from your hotel to Aor Por Pier, Phuket. 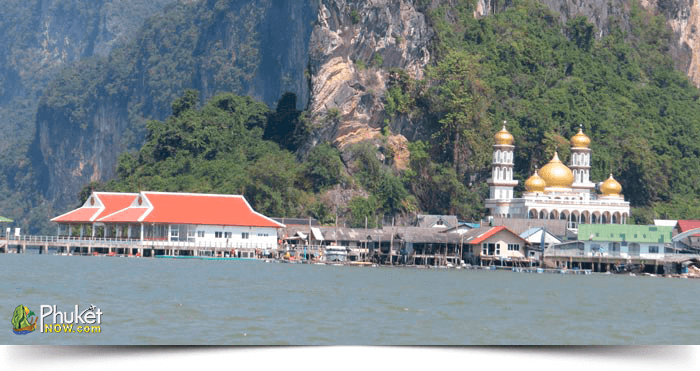 Many limestone mountains of Phang Nga scattering all over the bay offer strange and fantastic landforms. You will enjoy the beauty of solid cliffs and caves must to be explored by sea canoe. We will provide you all canoe equipment with canoe paddler. If you are a spelunker, you should not miss discovering this world famous caves. The extraordinary Panak Island (Koh Panak, Koh is Thai word meaning Island) is one of them, and it has many strange stalactites along with giant rock formation. 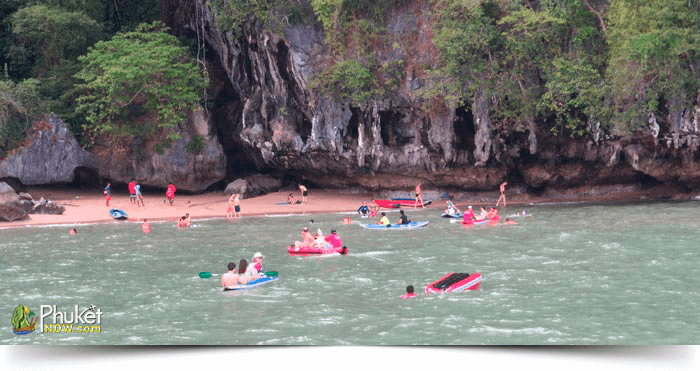 You will enjoy the beautiful attractions of Khang Khao Cave, Ice Cream Cave and Gong Gang Cave of Panak island. James Bond Island is also a very spectacular Island where a James Bond movie was captured. 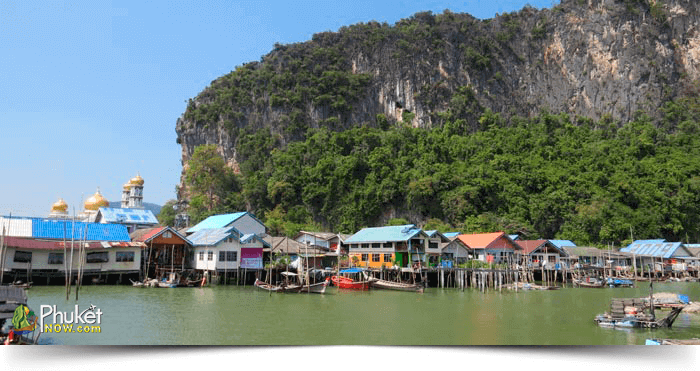 Many towering cliffs spread their wonderful attractiveness around Phang Nga. You will miss many things until you unfold it. A Muslim Village will appear on steep of Hill of Koh Panyee. You can see fresh local seafood in this village. You can also buy some foods from here. Hong Island is the most mystique Island for its cliff look like the hall where boats can sail to the cave channel through the other sides of the sea. About 12 islets lay in line vertically stretching from the north to the south of Phang-nga and Krabi sea. You will be amazed to see the beauty of Naka Island or Lawa Island that has white sandy beach and straw flower on its plants. You can pass some memorable moments here.